Since World Maths Day was founded in 2007 by 3P Learning, the popularity of World Maths Day has multiplied fast. 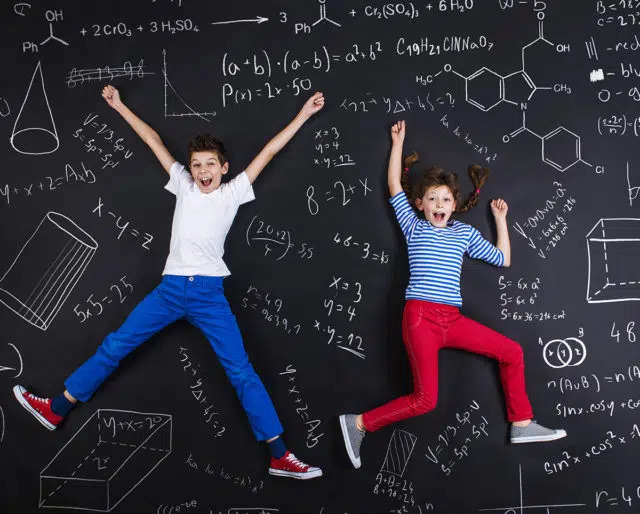 Celebrated on Oct. 15 each year, the day encourages students globally to take a break from standard math lessons. Instead, they can participate in competitive math-themed games, giving them the opportunity to win prizes and scholarships. It’s now associated with the World Education Games, linking schools across the globe. Surround yourself with someone that is a master at math, as you'll slowly becoming more adept at solving math problems yourself. Sounds epic, right? Gather your friends, family, kids – and create the ultimate math-a-thon. Mathematics is really fun! Don't believe us? Think about the video games or card games that you love to play — many of them are built on math problems! Sometimes just sitting back and doing a few problems can be relaxing and challenging. In a world plagued with problems, the problem solvers rise to the occasion. The mathematical problems we always encountered in the classroom, the exercises and the assignments that our teacher has assigned – these are all opportunities to exercise our brains, preparing us for larger and more challenging problems in real life. 1+1 = 2. Yes, we use math for everyday tasks, like doing groceries, maintaining a monthly budget, and planning for vacations. Numbers are everywhere. Math. Do it.